Berton, Pierre (1980). The Invasion of Canada, 1812-1813. Toronto: McClelland & Stewart. ISBN 0-7710-1235-7. Hitsman, J. Mackay (Donald E. Graves ed.) (1999). 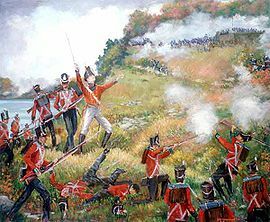 The Incredible War of 1812. Toronto: Robin Brass Studio. ISBN 1-896941-13-3. Malcomson, Robert (2003). 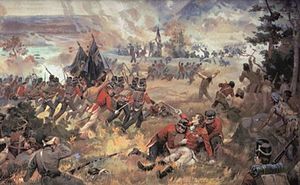 A Very Brilliant Affair: The Battle of Queenston Heights, 1812. Toronto: Robin Brass Studio. ISBN 1-896941-33-8. Van Rensselaer, Solomon (1836). A Narrative of the Affair of Queenstown in the War of 1812. New York: Leavitt, Lord & Co. ISBN 0-665-21524-X. Zaslow, Morris (ed) (1964). The Defended Border. Toronto: Macmillan of Canada. ISBN 0-7705-1242-9.